Do you own businesses related to cars, transportations, vehicles and more? Are you somehow trying to rise through your competitors by trying to be modern and unique? One way to do so is with a striking and visually appealing online site! That’s right! By now, you probably know how big of a role internet and online presence plays for your business. From promoting to branding to even running your business, a professionally built website can do wonders. While a lot of people have already opted to take their business online, the only question remaining is, why haven’t you? The answer we most probably get is the complicated process of creating a unique and valid website from scratch. 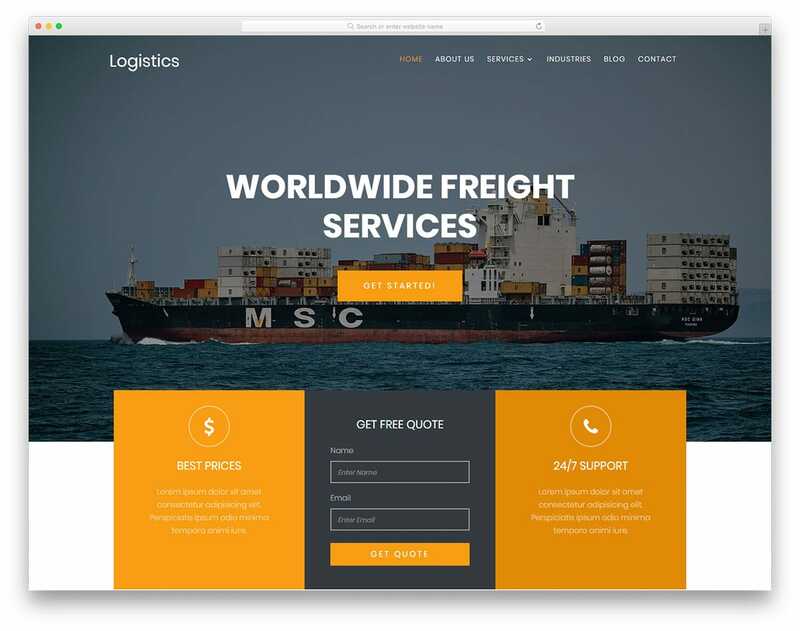 When people think of a professional website, the one thing that crosses the mind is obviously the cost and effort it might take. Additionally, standing out from the crowd with a unique concept is not always easy. So what is the solution? And is there possibly any way out? Yes, there is! Creative and innovative free website templates! That’s right! Creating a website entirely from nothing is no longer a difficult and hefty task reserved only for developers and designers! The good news is, there are probably even hundreds of choices you can choose from! Every modern smart device like smartphones, computers, and even the latest smart home devices with screen have their own calendar. For basic functions these calendars are good, but when people need something extra, they have to go for other calendar applications. If you are making any unique calendars with special functionalities, these CSS calendar design will inspire you with cool designs. When it comes to smartphone there are only two major platforms iOS, and Android. In iOS Fantastical calendar is great and its availability on Apple watch and Mac devices makes it easy for the user to see their entries across all devices. Calendars are also used as a part of other applications. For example, in fitness application, they help you see your workout routine and in ticket reservation site it helps to pick a date. No matter for what purpose you are making a calendar, there is an inspiration for you in this CSS calendar list. Finance is the basis of any business or household. Proper financial planning will save you from tough times and take you to the next level. Running a financial service is a crucial task, we have a bigger responsibility. Credibility is the core element of the financial business. Our customers have to believe in us, then only they give their hard earned money to us. 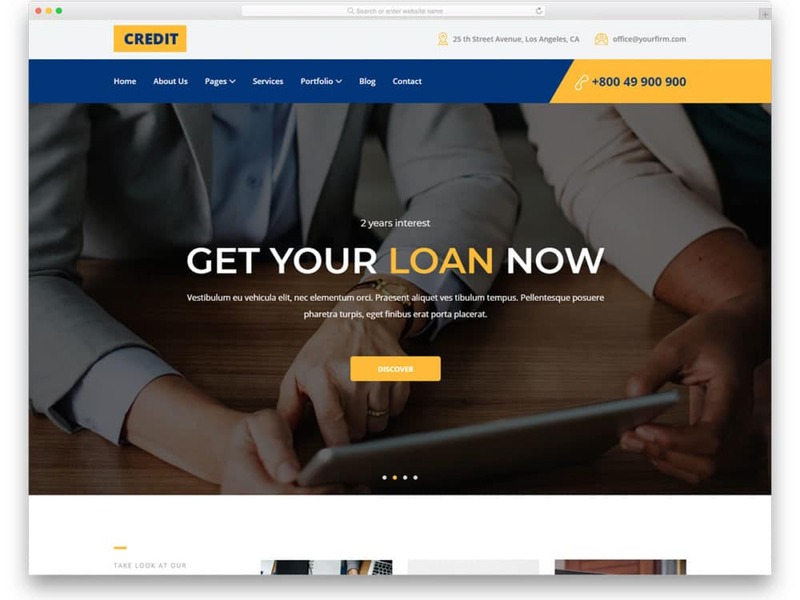 In this free finance website templates, we have collected some of the best templates that will improve your credibility factor. Financial is a vast service which has several branches. In this free finance website templates list, we have collected templates that can fit in for any type of financial services. To give you better design ideas, we have also collected templates from other niches. 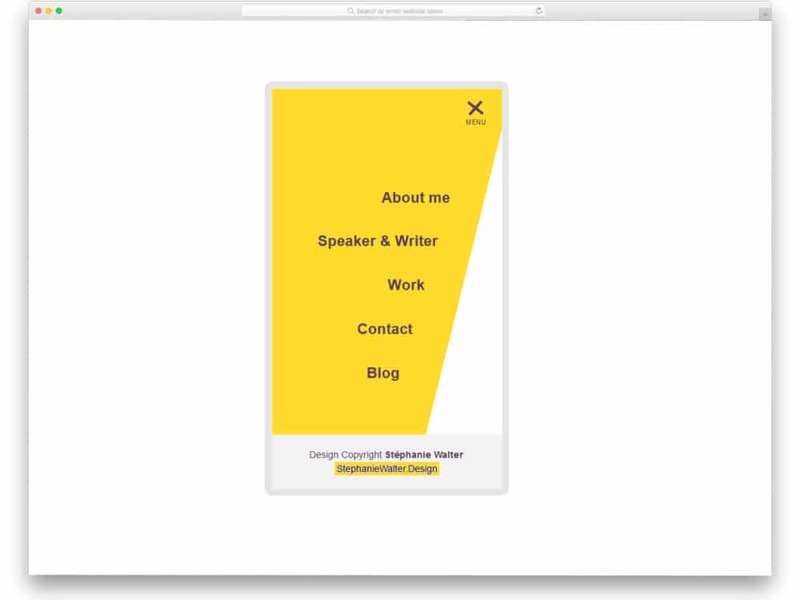 All these templates are designed by keeping the user experience to the core plus they are also easy to customize. For every couple in love about to tie the knot or someone who wishes to be different from everyone else, owning a stunning website or online platform is a must. Especially with everyone competing to become unique and stand out from the crowd, making memories has taken a whole new turn! Thus, today we have made a list of the best premium wedding website template for you to check out! Perfect for you to start an online platform to share memories with your loved ones, you can create online invitations, share details, information, and media files the easy way. Not only is it easier to manage the guest list and confirm their arrival, these templates are also a modern and stylish way to let everyone know your story. However, the list does not end there. These hand-picked templates are also suited for professional use. That’s right, if you are someone related to the niche of business, whether you are an event planner, venue decorator, bakery, florists or more, these options can be the ideal choice. 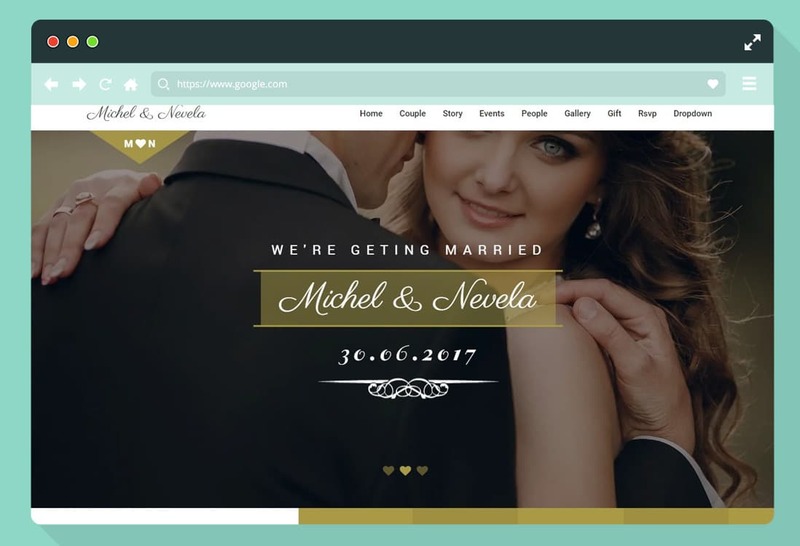 So why not check them out today and start out elegant and stylishly only with this list of premium bootstrap based wedding website templates? When it comes to flowing the information through online sources, websites are one of the most effective sources. 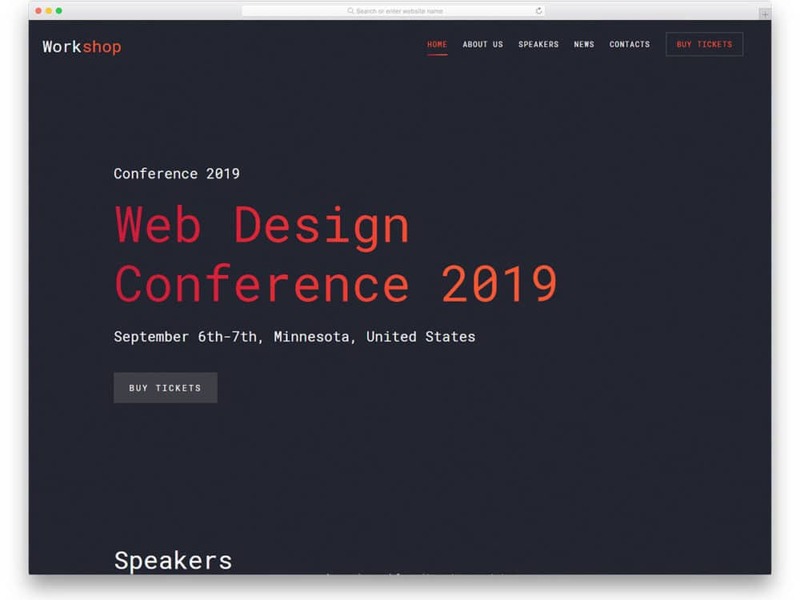 People can make a website of anything nowadays to spread information whether it is professional websites or personal websites. 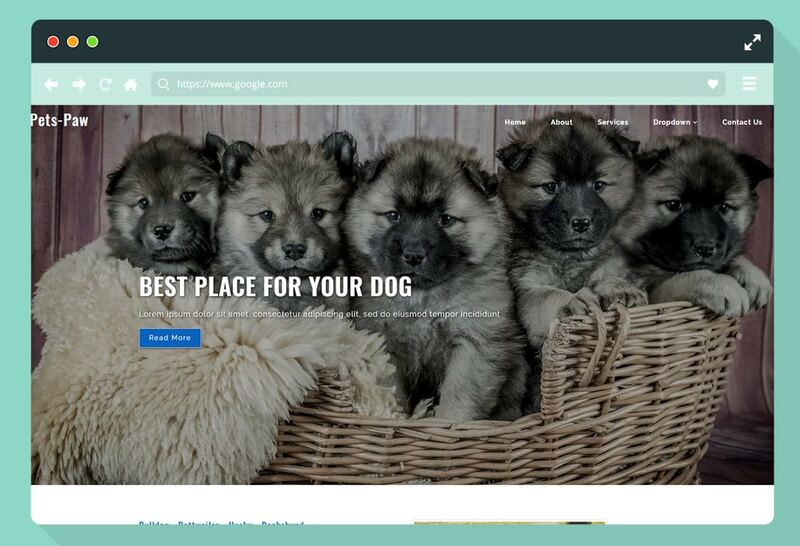 This has been also implemented for news and details on pets and animals. There are many ways through which the use of websites can be beneficial in the case of animals and pets. So the demand for making these websites are quite high nowadays. These websites can be used for multiple reasons. Most of them are used for animal shelters, adoptions, pet tips and details, and lost animals. Here, these websites can help to increase the promotion of various animal-related agencies and companies. People can also know a lot about how to raise their pets or about other animals with the help of these websites. These websites can also benefit the pets and animals for caretaking, rescue, adoptions and many more. An important part of any website or application design is the navigation menu. The user must know where they are and where they will be going on that click. For several years people have experimented new ideas and stick to a way that gives better results. The hardware design of the machines is no longer the same. Plus there are new smart devices emerging in the day to day users life. Websites and applications are accessed through smartphones, smart wearables, and recently by smart home devices. If you are planning to make a unique navigation system that fits all these devices the CSS menu design in this list will give you some inspiration or in other words, you can use it as a muse for your own custom design. The basic principle in any menu designing is listing down the options you need. Some websites like magazine websites need to manage multiple categories and sub-menus. Whereas a simple business website or personal website, just a single horizontal menu bar will do the job. No matter for what purpose you are making a menu design, there will be a design inspiration for you on this list. Make sure you check them all. “Getting organized in the normal routines of life and finishing little projects you’ve started is an important first step toward realizing larger goals.” These are true words told by Joyce Meyer. Keeping our works organized help us to manage our work. After the development of smart devices, you can manage your goals and events easily with applications. You can simply ask your digital assistants like Siri, Google, or Alexa to add an event to your calendar. Though there are several default smart calendars in the smart devices, they don’t cover all the areas. If you are making a special calendar for your niche or business, these HTML calendar design will give you more inspirations. 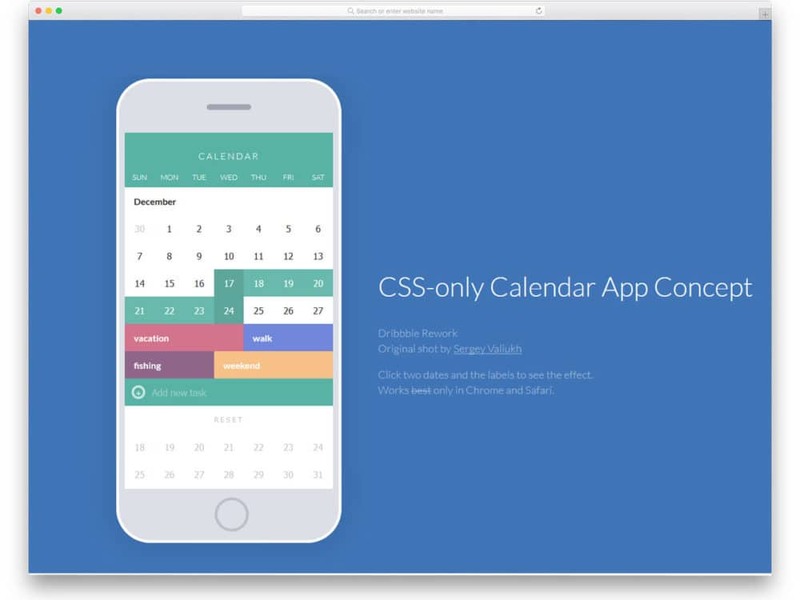 As most of these calendars are developed by developers like you, it will be easy for you to work with. Each calendar has their own creative elements and useful features, so check them all. Yoga is one of the most popular forms of fitness activity. Even the top fitness tracking brands are including yoga in their list. From watchOS 4, Apple watch will automatically detect the yoga activity just like running and walking. 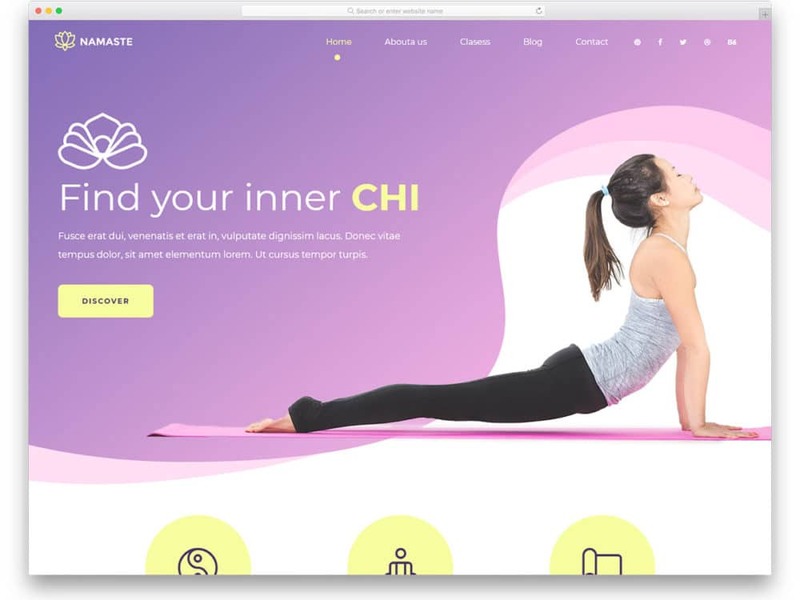 If you are running a business on this widely spreading fitness activity these free yoga website templates will help you reach more audience. Yoga requires fewer instruments, a mat will do, that’s it, you don’t need big instruments. This is one of the reasons why 43% of the people do yoga at their home and 40% of the people do in the Yoga studio; a survey shared by yoga journal. If you are running a yoga studio then you have the highest possibility of getting more students. The free yoga website templates in this list will help you create an effective template that clearly shows your schedules, services, and training. Being a web developer or mobile application developer is the best thing. Daily you have to find an innovative solution for most common issues in a visually appealing manner. But in the development process, there are certain phases which are repetitive. In that cases, you can use these UI kits and save your time and use it productively for other important processes. Each application or web development process will have a unique feature, in some cases, it will also be the highlighting feature. To develop these unique features with the special requirement you have to spend most of your time but at the same time, we have to complete the project within the deadline. Using UI kits will help you speed the normal processes. 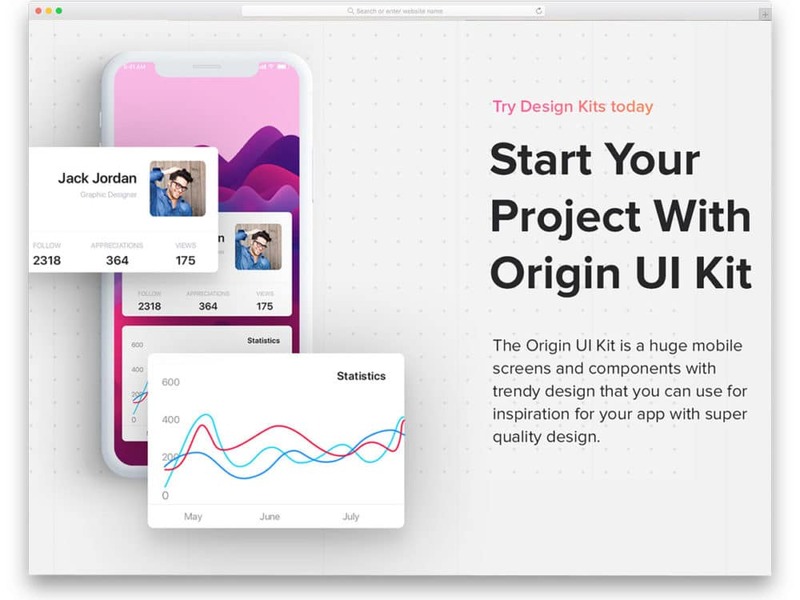 In this list, we have collected some of the best premium UI kits which are built on different platforms like Sketch and Photoshop. Based on your workflow select the kit that best suits your needs.